A museum bringing the experience of the power of the volcano. Sound and video are used to bring a subterranean experience in the 'Subterranean Research Vessel' and 'Lost World' entertainment zones, and geology and natural environment exhibits explain the structure of a volcano, and the natural environment of the Asama volcano. 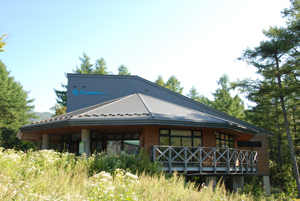 A facility providing a picnic site and a range of information on the natural environment. Also has a visitors salon and a multi-purpose building housing 50 people. The conditions in the woods can be observed from the 'Limpid Stream Pathway' and the 'Maple Tree Pathway.' Volunteers hold nature observation meetings throughout the four seasons. 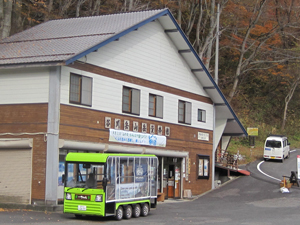 A center for sight-seeing in the entire Asamasanroku (the foot of Mt. Asama) area. Staff of the Asama International Outdoors and Nature School (NPO) are stationed here. 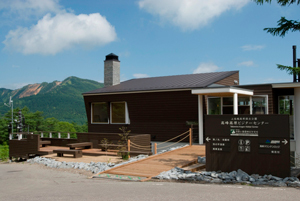 The information center provides information on sight-seeing and mountaineering in the foot of Mt. 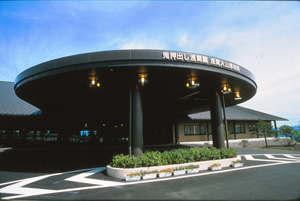 Asama. Meals created from local ingredients are available at the cafe-restaurant. A facility exhibiting the history and natural environment of the Sugadaira Highland. 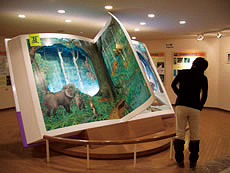 Exhibits include a variety of dioramas and samples covering life in the area in ancient times, and the plants, insects, and small animals of the Sugadaira Highland. The Sugadaira Marsh, expanding in the surrounding areas, includes nature trails for observation of plentiful vegetation and small birds. * Figures in brackets are the prices per head for groups of 25 or more. Located in the Jizo-Toge Pass at the entrance to the Yunomaru Highland. Characterized by roofs suggesting the pointed Mt. Eboshi and the rounded Mt. Yunomaru. The four seasons of Yunomaru and plant and animal life are displayed on a 100-inch screen and on monitor TVs. A diorama of the entire Yunomaru area is provided to explain trekking routes, etc. A facility using photos and videos, and display panels to explain the relationship between the volcanoes and hot springs surrounding Kusatsu, the distribution of plant and animal life around Mt. 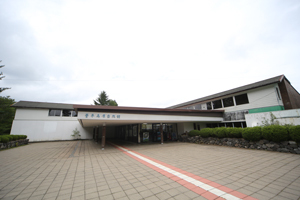 Shirane, and the history of the area. 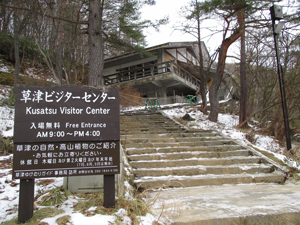 Kusatsu is well-known as a town of hot springs; however, the facility also provides opportunities to learn about the expansive natural environment of the area. 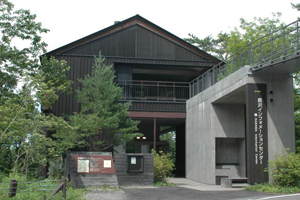 Pay a quick visit while on the nature trail in the Sainokawara Park. Located in the Shigakogen Sogo Kaikan 98 which is near Shigakogen Hasuike. Provides easy-to-understand explanations of the forests and marshlands and background to the natural environment, of the Shiga Highland based on the themes of Shiga Highland Nature Guide, A One-point Nature Observation Lesson, Life in the Shiga Highland, and Sight-seeing in the Shiga Highland. A guides' association has been established. Exhibits a wide range of information on Mt. Tanigawa collected from throughout Japan. Also includes photos of the animals and alpine plant life on Mt. Tanigawa. Visit when climbing Mt. Tanigawa, and when trekking at Ichinokurasawa.